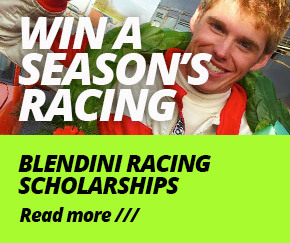 Can I race with Blendini Motorsport? Yes, Blendini can offer drivers of all ages and levels something to suit their needs. If you are a complete novice looking at your first track day or getting a race licence we will guide you in the right direction or if you are a seasoned racing driver looking for a new challenge one of our race cars will be perfect for you. Motorsport is not a cheap hobby but Blendini Motorsport aims to make it as cost effective as possible for their drivers. A track day in an Mx5 starts from £499 and a full race weekend from £1499. Can I drive without a licence? Yes, we can arrange for you to drive even without a road or race licence. Drivers can be as young as 12 years old. What do Blendini charge for road car work? Our hourly rate is £37.50 plus VAT. Will Blendini look after my car? We look after a wide variety of cars and are always interested to hear from owners about their cars and needs. If you have any other questions, please call 01443 821770.